The south is getting a lot of attention when it comes to food and travel. There are the obvious culinary destinations, like New Orleans and Charleston, but cities often not considered “food towns,” like Richmond, Louisville, Savannah, Miami, and Raleigh are receiving a lot of recognition for their culinary renaissance with new chefs, restaurants, and unique twists on ingredients and preparations. Recently, we decided to take a road trip through the Carolinas to get an update on a few of our favorites and check out several new food and beverage destinations. 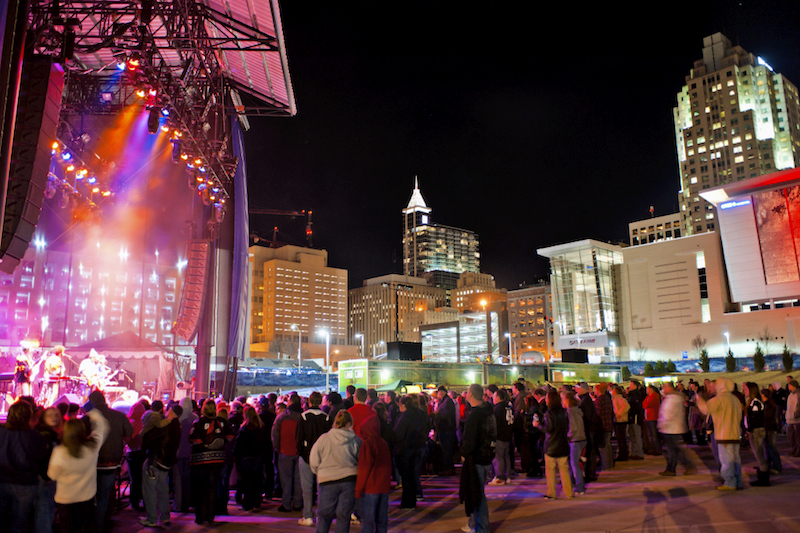 First up was Raleigh and The Research Triangle. We’ve traveled to this part of North Carolina numerous times to meet with some of the area’s finest chefs and dine at their restaurants. This has included two James Beard Award Winners, chefs Ashley Christensen and Andrea Reusing, who have both been instrumental in putting The Triangle’s food scene on the map. We’ve also worked with and dined at two of our favorite fine dining restaurants, Fearrington House Restaurant at The Fearrington House Inn in Pittsboro and Heron’s at The Umstead Hotel and Spa in Cary. 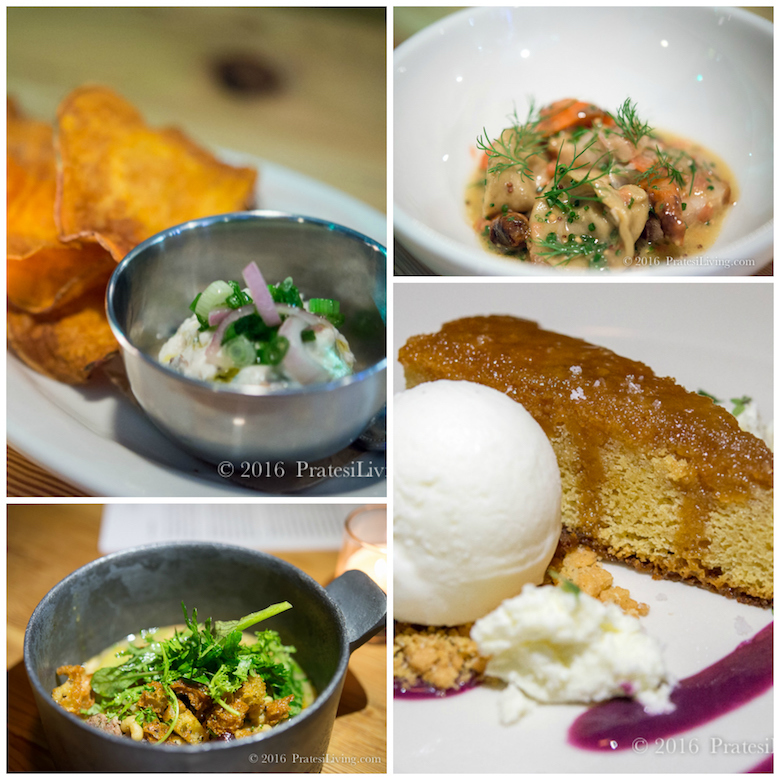 When we returned to Raleigh-Durham for this visit, there were exciting changes on the culinary front as well as continued growth and revitalization of the downtown areas and nearby neighborhoods. 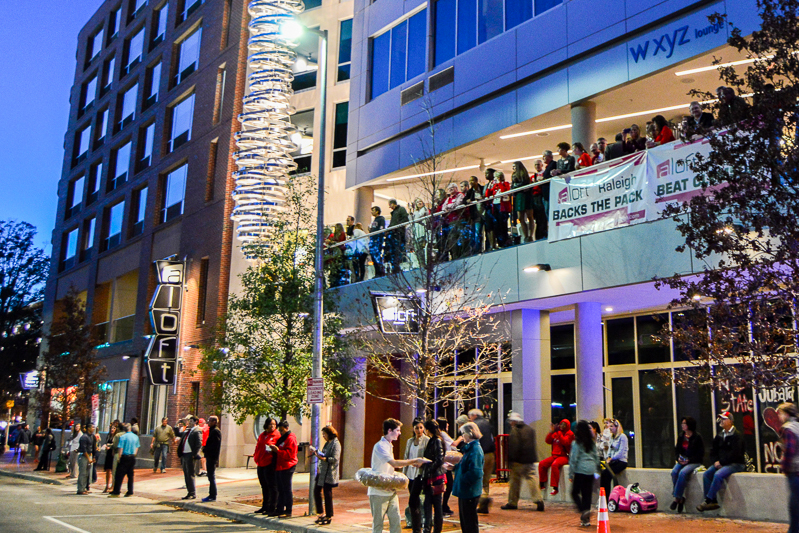 Book a room at the new Aloft in downtown Raleigh, a hip and modern hotel that’s pet friendly. We choose Aloft locations when we’re traveling with our pup, Beamer. ALoft hotels are perfect for casual weekend excursions and business trips. We enjoy the large rooms and comfortable beds and they are typically located in convenient locations in many cities around the world. 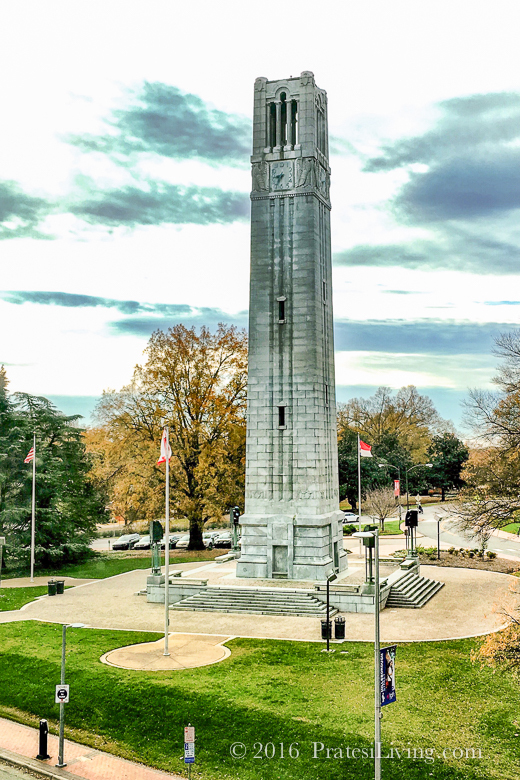 In Raleigh, the Aloft is across from North Carolina State University’s North Campus and Raleigh is the hub of The Research Triangle, composed of Raleigh, Durham, Cary, and Chapel Hill. Make a reservation at Standard Foods for dinner and then arrive early for a wine tasting and shopping at Wine Authorities, located next door to the restaurant. The shop’s unique concept of focusing on “value-oriented farmer-grown and family-owned estate wine selections from around the world” has garnered nationwide attention. The owner, Craig Heffley, a North Carolina native, opened his first store in Durham and expanded with this location in 2013. The reasonably priced wine selections will make nightly wine drinkers quite happy. Grab a glass and select a wine to taste from their Enomatic machines. 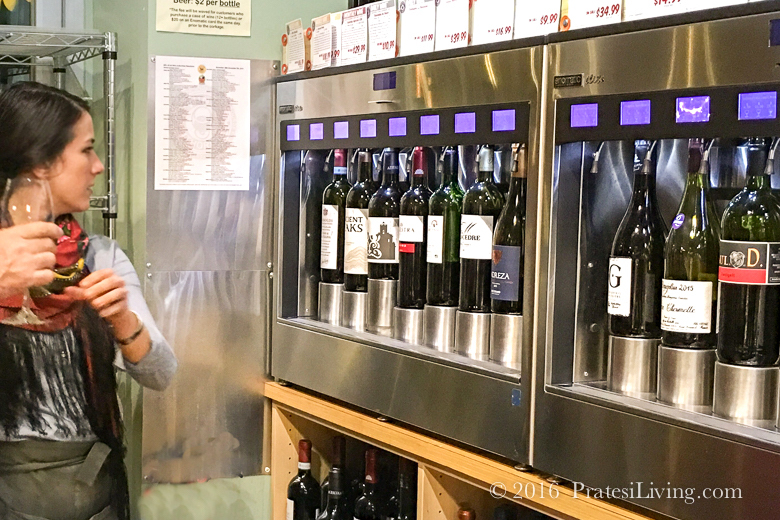 These machines are a great way to sample new wines and the staff can also show you many other options based on your taste preference. We’re sure you’ll find several bottles you’ll want to take home with you. Chef Scott Crawford (formerly of Heron’s at The Umstead Hotel and Spa) is a talented and passionate chef and his background and training in creating an extraordinary fine dining experience has been transformed into his new restaurant concept, Standard Foods. His focus on sourcing local North Carolina ingredients is amped up to hyper-local with his own garden located next to the restaurant, a butchery program, and a neighborhood grocery carrying only regional products. 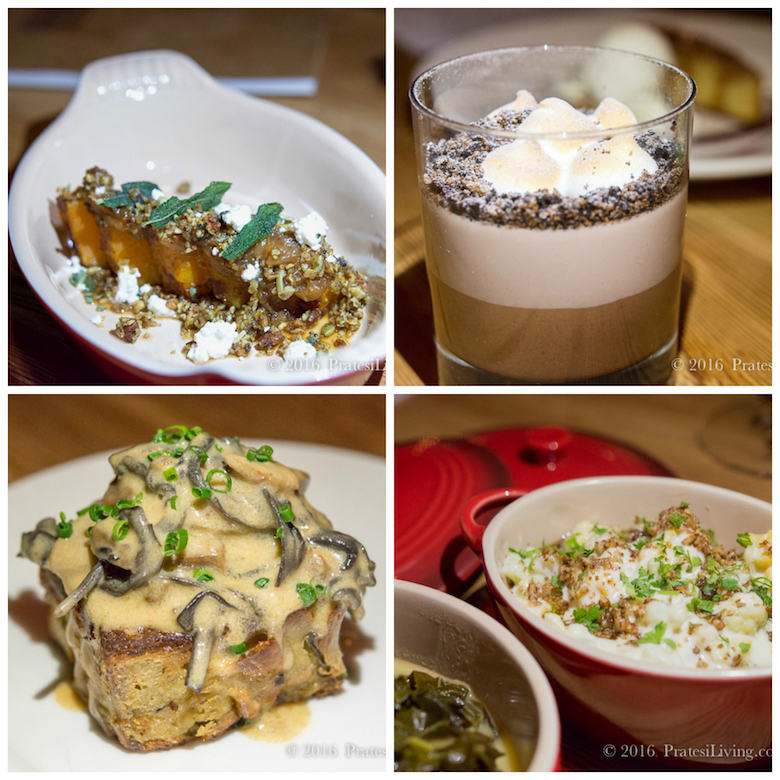 The seemingly simple, but complex flavors of the Southern inspired dishes on the menu combine his impressive talents with great local foods, but in a more approachable and affordable manner than his former restaurant. Book a reservation well in advance for this lively and popular restaurant in the up and coming North Pearson Business District. This is the first of several endeavors planned by Crawford and his partners, so stay tuned.